Zig Zag Big Band, Glasgow University Big Band and the Byres Road Big Band are joining forces for the mini festival as part of the West End Festival. Specially designed sinks, walls of mirrors and the traditional red and white striped pole are some of the universal signs of a barber shop. But this visit to the barbers is slightly different. For crammed between the shaving foam and scissors are trumpets, trombones, drums and saxophones. These sights and sounds intrigue members of the public every Monday night when the Zig Zag Big Band pack into Men International on Oswald Street. 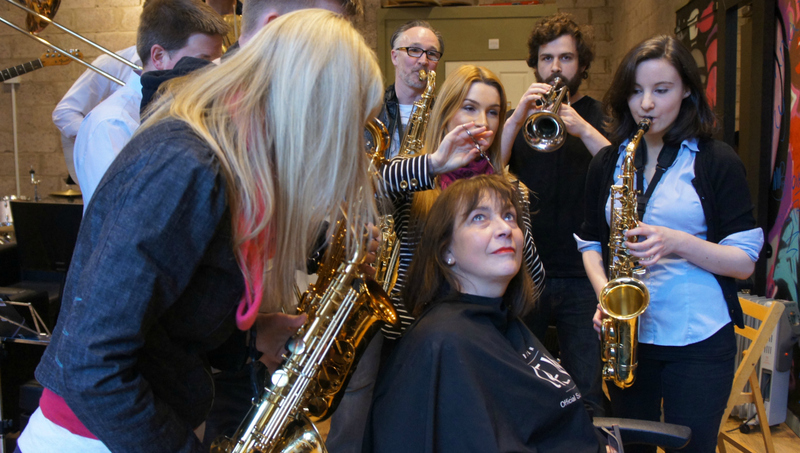 Since forming in 2012 and making the barber shop their rehearsal home, the 20-strong ensemble have found themselves turning down haircut requests and offering concert tickets to folk passing by on the street. Zig Zag will be showing why there is such a buzz surrounding their music when they join together with the Byres Road and Glasgow University groups for the first Big Band Festival, part of this year's West End Festival. Tenor saxophonist Thomas McGovern explained: “We think we’re probably the only Big Band that rehearses in a barber shop. “We rehearse here on a Monday night because the acoustics are brilliant and it’s perfect because it’s in Glasgow city centre. It’s also a bit quirky and different which adds to our way of working. Very rarely do you get a rehearsal space where there’s such a high footfall. The Big Band Festival night is just one of a number of highlights from the 2013 West End Festival programme. The concert on Thursday, June 6 at the Queen Margaret Union will be the first time all three bands have played together. 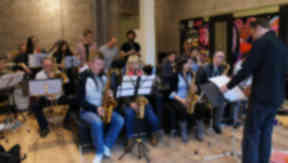 The Zig Zag Big Band will be premiering a piece by Malcolm MacFarlane at the concert while the Byres Road Big Band will be focusing on classical repertoire and there will be something for everyone from the Glasgow University Big Band’s set. 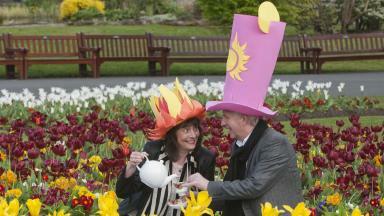 The 2013 West End Festival runs from Friday, May 31 to Sunday, June 30 and features 400 events across 80 venues. The full programme will be officially revealed on April 26 but the festival’s chairman Liz Scobie has given an indication of what people can expect at the 18th festival. She said: “It takes place in a beautiful part of Glasgow in the west end, which is full of lovely parks and leafy lanes and some great bohemian street café life, so it’s a super location and we deliberately choose June in the hope that we might get some good weather. “We’re running the festival this year for four weeks on five weekends, so that’s a bit unprecedented. We’ve stretched it out year after year as it’s grown and demand has grown. “We’re delighted at the success of the Cottier Chamber Project, that has now been acclaimed as the largest chamber music festival in the whole of the UK, I think there are 33 different concerts as part of that series, not just in Cottier Theatre but other venues as well like the university chapel. Organisers are hoping the Mardi Gras Parade could return for 2013 if enough money is raised through a crowdfunding project. Members of the public are being asked to give a donation to the festival and help reinstate the samba dancing and drumming parade, which had to be cancelled due to lack of funding in 2012. Liz said: “We would certainly love to drive anyone interested in supporting us to the crowdfunding website, everything counts, whether it’s £5 or £500 we’re delighted for all the support, particularly for the parade. “It’s always challenging in times where there are cuts and there are lots of organisations cutting their marketing, funding and support budgets which certainly makes it more of a challenge. For more information go to the West End Festival website.